1. What is the difference between CAT-5, CAT-5e, CAT-6, CAT-7? Today there is no approved CAT-6 or CAT-7. While some folks are selling products they call Level 6 or 7, there aren't even specs for them, making CAT-5e the best available option. CAT6 cable is being made with 23 gauge conductor wire as opposed to the slightly smaller 24 gauges for CAT-5e and also has a separator to handle crosstalk better. Both CAT-5 and CAT-5e have 100-ohm impedance and electrical characteristics supporting transmissions up to 100 MHz. The differences between CAT-5 and CAT-5e show in all aspects of performance: capacitance, frequency, resistance, attenuation, and NEXT. CAT-5e components were designed with high-speed gigabit Ethernet in mind. While CAT-5 components may function to some degree in a gigabit Ethernet, they perform below standard during high-data transfer scenarios. CAT5e cables work with ATM and gigabit speed products. Simply, if you are using a 100Mbps switch, get CAT-5e cable instead of CAT-5. 2. What is the difference between the types of cable - UTP, Patch, Stranded, Solid? Solid has one larger gauge wire on each sleeve. Solid cable has better electrical performance than stranded cable and is traditionally used for inside walls and through ceilings - any type of long run of cable. 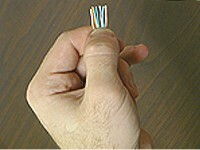 A cross-over cable is a segment of cable that crosses over pins 1&2 and 3&6. This cable is normally used to connect two PCs without the use of a hub or can be used to cascade two hubs without using an uplink port. Some DSL modems require a crossover cable to the PC or hub they are connected to. T568A and T568B are the 2 wiring patterns for 8 position RJ45 modular plug, both permitted under the TIA/EIA 568A wiring standards document. The only difference between the two patterns is that the pairs 2 (orange) and 3 (green) are interchanged. 13. What is Different between Cat5e Cable and Cat6 Cable? CAT5e, category five enhanced, cables can support 1GB/s at 100 meters whereas the CAT6/ category 6, cable is an enhanced version which can handle pressures up to 10GB/s at only 55 meters. Thus CAT6 supports higher bandwidths in comparison to CAT5e. CAT5e and CAT6 cables show variations in frequencies as well. CAT5e Cable has a frequency of 350MHZ whereas the category 6 patch cable has a higher frequency which is 550MHZ. CAT5e and CAT6 cables have the ability to counter electromagnetic influx from all sources. The radiations are emitted by matter all around us. Charged species do emit higher doses of radiations such as the electric equipment, circuits and so on. Electrons are lost and gained by various atoms and it’s an ongoing phenomenon. The gain of an electron by an atom means a release of radiations and these radiations can penetrate into the nearby computing devices too. One can expect more radiations in an area of congested cable and wire systems. The networks of computers are connected by cables. So one can expect more ‘cross-talk’ that is disruptions as a result of EMI’s. The CAT5e and CAT6 cables have been provided with the unique ability to counter this crosstalk so that the computing operations aren’t affected. Twisting and shielding allow enhanced performance. CAT5e and CAT6 cables are coated with a protective layer added to go along with the twisting of the conducting wires. Each pair of the conducting wires is twisted alternatively to deter the EMIs. The flow of data, signals and the mobilization of computing resources becomes streamlined and efficient. Both the series of Ethernet cables can handle the pressures of crosstalk’s and foreign intrusions but definitely, CAT6 is an advanced version. CAT6 can support higher bandwidths and boost the overall process of signal routing. CAT5e was an updated version of CAT5 cables, where ‘e’ stands for enhanced. But CAT6 cables have replaced both the older versions. Computing operations need to be handled with utmost care for quality performance. Maintenance of computing resources is also mandatory. The selection of a suitable patch and Ethernet cables can help relieve computers of all undue pressures. CAT5 and CAT5e cables are a story of the past. Now the tech world wants more delicate, flexible, applied oriented cables to conduct an electrical impulse. This is where CAT6 and CAT6A come handy as they are the latest development in the series of CAT cables and are intended to support higher bandwidths of Ethernet at an affordable price. 1000ft. has always tried to live up to the expectations of its customers by bringing out the best in the business. As a renowned cable sales organization, 1000ft has never let its customers down when it comes to patch and Ethernet cables. CAT6 and CAT6 are the latest innovations in the digital wiring industry. Cables of category 6 surpass the previous set of models in theory and in an application. One can surf through the highs and lows of the internet because signal routing is made sounder in design and orientation. CAT 5 and CAT6 cable both plug-in to the very same socket/external jacket. 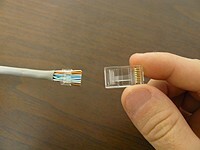 The point of “linking up” computer with the external source is RJ-45, and both CAT5 and CAT6 have this dimension in common. CAT5 cables can support 10/100 Mbps at 100 MHz bandwidths of Ethernet. CAT5e is the enhanced version where “e” stands for enhanced. So a few of the features are extended and modified for better performance. CAT5e is more proficient in overcoming EMI’s and crosstalks from nearby sources. Radiations emitted by various entities around a computing device can bring the computing operations to a point of stalemate. Delayed and weak signals can cause inefficiency and frustrations. CAT5e is made capable to counter such problems. CAT6 cables are heavily guarded by protective coating to overcome hazardous radiations (Electromagnetic radiations). They can support the 10GBs of data as well. But primarily they are intended to counter crosstalk’s (radiations from bulky wiring structures). CAT6A can support 10GB data at longer distances (328 feet of Ethernet cable). Cables are an important component of any computing network. Large IT centers and business firms need to handle the menace in the form of radiations (cross talks and EMI’s) for swift and uninterrupted data transmission and signal routing. The design, structure, orientation, and specifications of Ethernet cables must be taken into account for optimum and dignified performance. 15. What are the Crossover Cables? Crossover cables are intended to patch up two computing devices directly. No indirect handling in case of crossover cables as they link up two computing units together. The digital devices to be patched up directly with crossover cables must be of the same kind e.g. two computers can be patched by crossover cable using their network interface controller. Patch cables other than crossover cables are meant to connect computing units with the external plug-in or Ethernet hubs. Crossed wiring systems are used in crossover cables, as the name indicates. Cross wiring link up the signals being transmitted at one end for them to be received at the other end. Most of the modern day devices support auto-MDIX capability so that the patch and crossover cables could be used interchangeably. Reconfiguration of signals being transmitted and received is automated to achieve the desired outcomes. Crossover cables like patch and Ethernet cables are meant to connect computing units with the rest of the data transmission systems. The prime difference between crossover cables and Ethernet cables is that crossover cables are used to connect two similar computing units together. They become an important part of the computer network systems. Ethernet cables are used to link up the computers with the external sockets, jackets, and plug-ins for signal routing and communication purposes. The overall outcome of all the interconnecting devices (patch, Ethernet and crossover cables) is to bind different digital resources of a computing network within an organization. Resultantly the data transmission system is streamlined and the servers and the peers send and receive loathes of information, whenever and wherever required. The selection criteria must be dealt with care. The quality and compatible must be in accordance with the computing resources to be connected. The overall performance is enhanced and the efficiency increases if the coordination system of the computing network is aligned with one another. Proper management of IT related resources can save money and time. Additionally, the data transmission process becomes error free. The chances of data loss and signal relay also diminish. Cables must be selected and handled with care to avoid frustrations. CAT cables fall into many categories. They are Ethernet cables and are intended to build and connect computers with other computing devices to form a network. The flow of data and electrical impulses in the form of signals are routed along the lengths of the entire network. Ethernet patch cables are primarily intended to build local based, home computing networks. 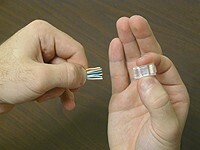 A patch cable connects two digital electronic devices together. Patch cables have connectors at either ends. Patch cables are simple, durable and flexible in comparison to other types of Ethernet cables and are less bulky too. Patch cables have the ability to carry telephone or audiovisual signals too in the non-network type of computing. Patch cables are simple in design and its construction isn’t an uphill task. After a few hiccups, one becomes able to comprehend the logic behind its construction. Patch cables can be constructed locally. We are going to brief up the mandatory aspects of its construction, after reading this, you will find yourself well aligned to construct and make a patch cable. First and the foremost thing which needs consideration is that the following description applies to the construction of RJ-45 jack supportive patch cables. The cable should be cut at lengths as per your requirement. If you are opting to go for snag-less boots then you need to slide them on. The boots ought to be directed towards the connector. RJ-45 is the most commonly used connector also known as modular plug or jack. It leads the cable into the socket and holds the ferrule. The snag-less boots come in different colors and are important identification mark.additionally they protect the RJ45 modular tab from getting entangled in the nearby cable. 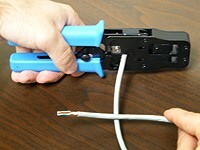 Use a cutter or your hands to strip the cable back at least an inch off its original position. The four twisted cables need to be set free and must exist as an independent entity. All the four pairs need to be straightened. The four wires and their stripped counterparts are all unique in color which are orange, green, blue and brown. To construct a “straight through cable network”, are used to connect Ethernet switches to computers. A recommended scheme is applied for connecting individual strands of cables in straight through the cable network. In this scheme, green line is linked with the green pin, pin 1 is connected to pin 1, and pin 2 is connected with pin 2 and so on. In forming a crossover cable, pin 1 is matched with pin 3, pin 2 is linked up with pin 6. Usually we deal with the straight through networks, and in this case, only orange and green colored wires are required. In this step, all the wires are brought close together and are cut at the ends at an angle of 90 degrees from the cable. A total control of events is mandatory as wires need not to be washed away. The ‘cut off’ point is not more than half an inch from the cable jacket. The connector should be placed upside down and the cables must be inserted with a gentle push. 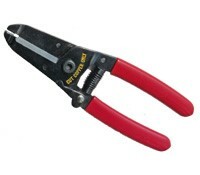 A crimping tool is required in this step; the connector needs held firmly within the arms and must be squeezed long and hard. The other end of the wire requires a similar procedural following before the cable is ready to be in business. The snag-less boots must be made to slide over the connectors as they not only give the connectors a decent and glittering look but helps to overcome inadequacies. A cable tester is recommended to check out the continuity, strength and adaptabilities of the wire recently constructed. 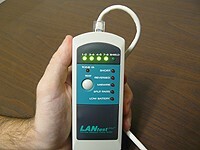 A valid cable testing device will help unveil the potential the wire holds in making a durable and sustainable connection. The cabling systems of patch cord and Ethernet cables have a significant role in binding computing units together. Data delivery is the prime responsibility of various types and categories of connecting cables. The flow of data needs to be continues for streamlined computing operations. The computing networks heavily rely of adequate selection of patch, cord and Ethernet cables because they transmit signals, data and Ethernet over a series of computers connected together. The cabling system is an important component of computing infrastructure. Modern day computing is nothing without smooth and uninterrupted flow of data, signals and current. Ethernet speeds and ranges have crossed all limits in the sense that the cables now need to be more strong and vigilant to handle and sustain high pressures. Data handling is never easy, but modern day cables, are tested and reoriented, time and again, to match up the rapid developments in the tech industry. Patch cable are coaxial cables and play a pivotal role in building and framing homemade networks.